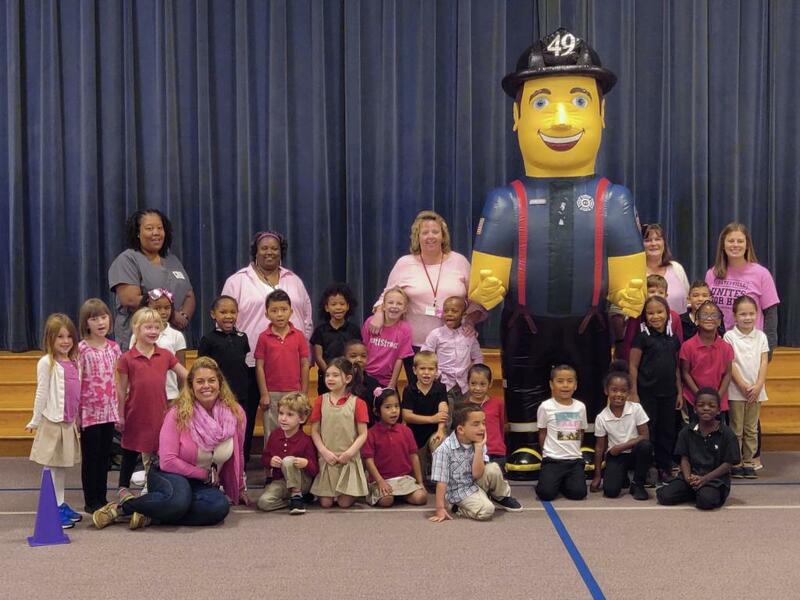 On Friday October 12th the East Brandywine Fire Company Fire Prevention Team visited Reeceville Elementary School. 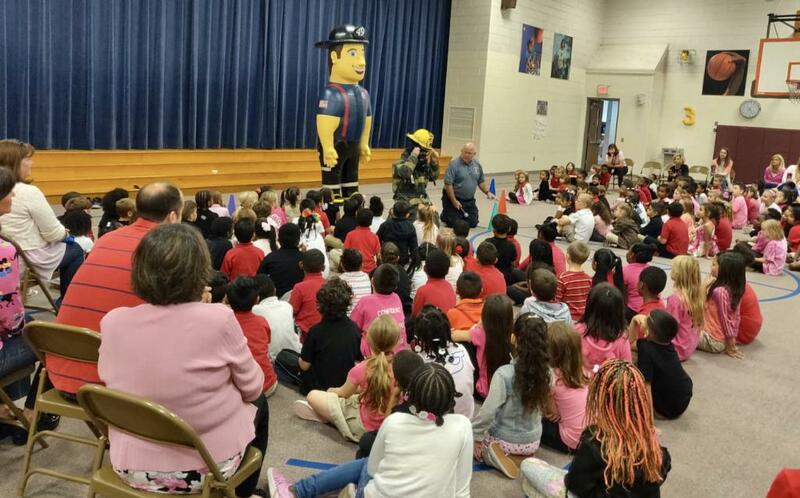 The Team once again conducted two assemblies and shared multiple safety messages with the kids with the assistance of Sparky the Fire Dog and our 10 foot Fireman. 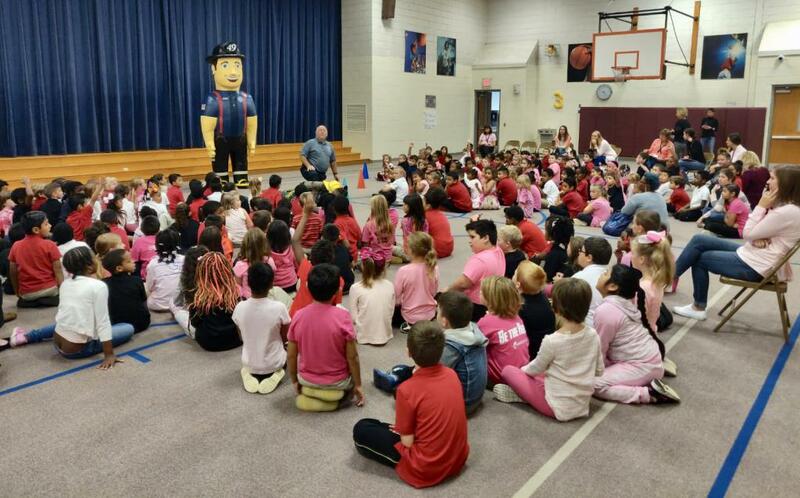 To date the team has educated over 1,600 students in three Elementary Schools. 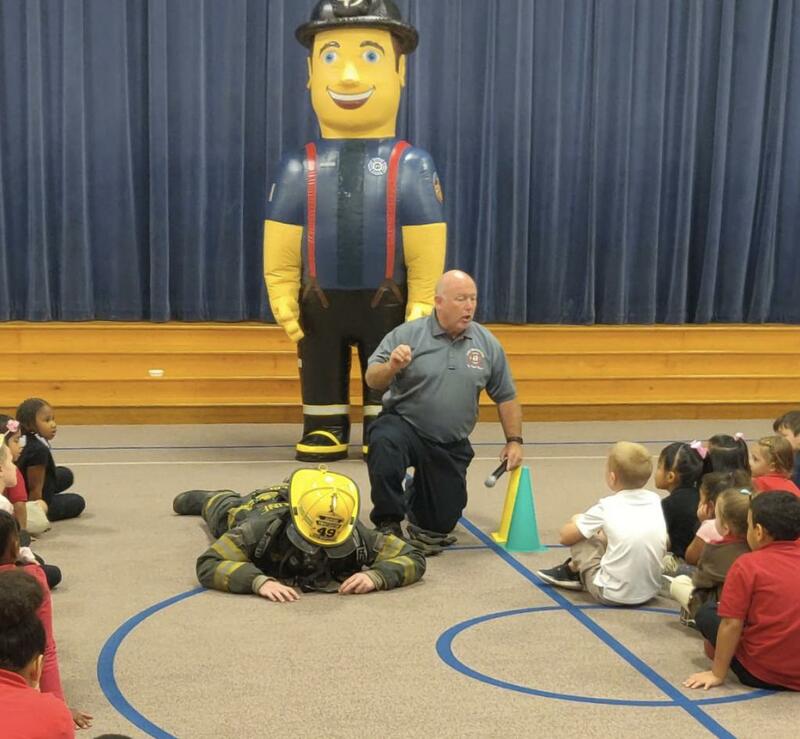 Chief Vince D'Amico said "the work that the Fire Prevention Team does is invaluable, if these safety messages even resonate with one kid it's a win". 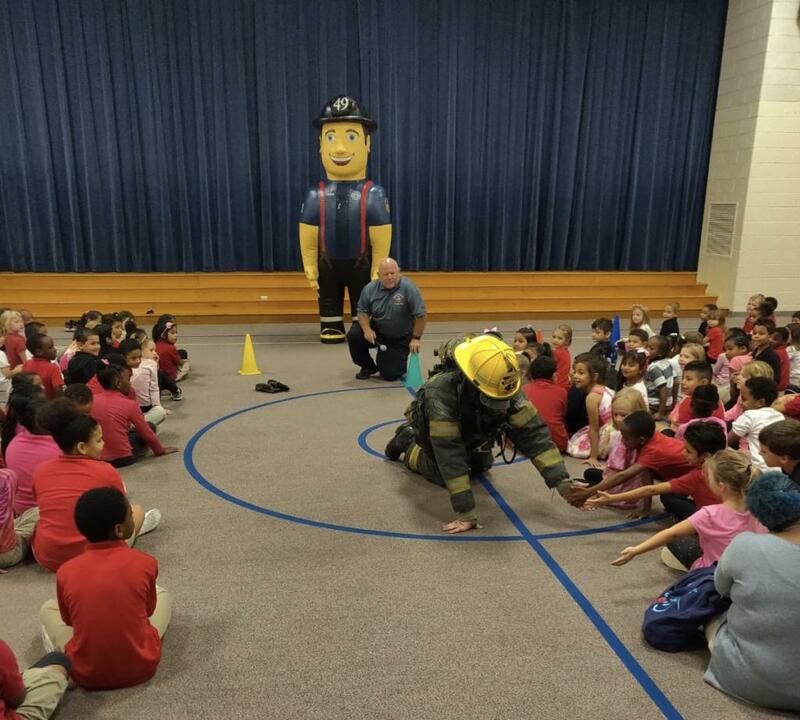 The Team will be back out on Monday in the Schools.